Mon to Fri 9am to 5pm · Sat & Sun Closed · All Times EST. That will unlock the magic. Amongst the clouds; the definition of peace and tranquility. An adventure of a liftime, from start to finish! Are you ready for the experience of a lifetime? 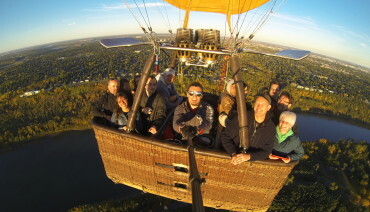 Sundance Balloons has grown to be one of the world's largest operators of commercial hot air balloons, flying over 30,000 passengers each year across Canada. As North America's leading hot air balloon company, Sundance Balloons is committed to capturing the imagination, attention and memories of our customers. 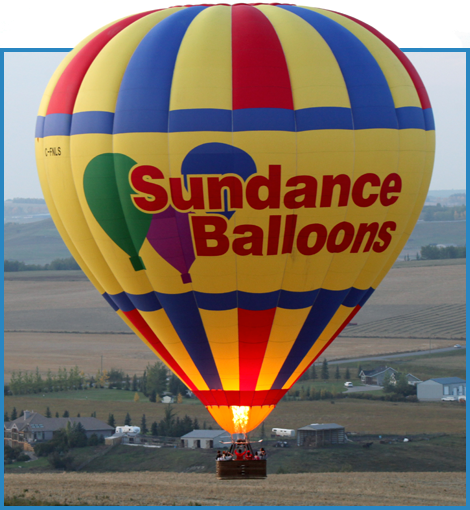 Sundance Balloons is a Transport Canada certified manufacturer of hot air balloons, as well as cold air inflatable advertising balloons. We are an advertising and promotional company that specializes in the design and execution of promotional, display, and merchandising communication programs, using hot air balloons, cold air inflatables, and event management as core tools. 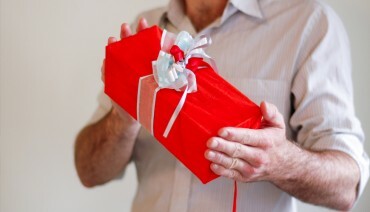 Sundance Balloons also delivers related collateral support materials such as promotional product design and execution. Ready to Fly? Get More Flight Info. Purchase a personalized flight voucher anytime, and leave the scheduling to whenever's convenient for you! 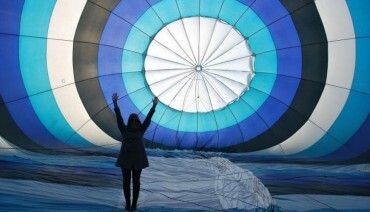 Get ready for this once in a lifetime flight! When flowers and a card won't do. "Better than planes, trains, and automobiles. Lift off was so smooth, you couldn't tell except by eye. The view was incredible, and the staff was really great. Landing was superb, and honestly, it beat any other ride I have ever had. Highly recommend the experience." Great trip to check off my bucket list! 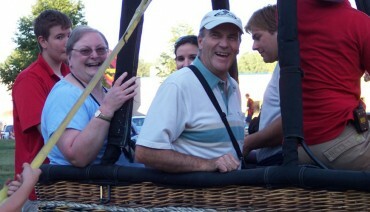 "This was a present from my boyfriend for my birthday--starting my 40th year up the a balloon like that was amazing! The crew were very professional and not only was the trip great, but the historical explanation of champagne at the end was interesting. I absolutely recommend it!" It was everything I thought it would be! "Our flight was a beautiful sunny early morning. The crew was so helpful and caring. 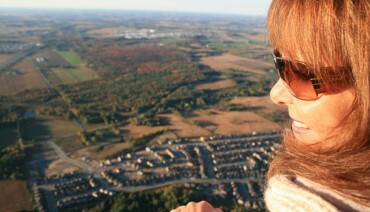 It was so peaceful and serene looking around the breath taking scenery I just didn't want to land. I would go again in a heartbeat. I would totaly recommend this experience to everyone." "Thank you so much, I will be framing the certificate, my flight was pure heaven, our pilot - Edwardo - was such a delight, his stories true or slightly exaggerated helped to make my flight so much fun. The whole crew are to be commended for their kindness and proficiency in getting us up, up and away and back to earth safely and smoothly." Interested in a career at Sundance Balloons? Click here to view career openings. By checking this box, you provide us consent to email you special offers and promotions. You may unsubscribe at any time.